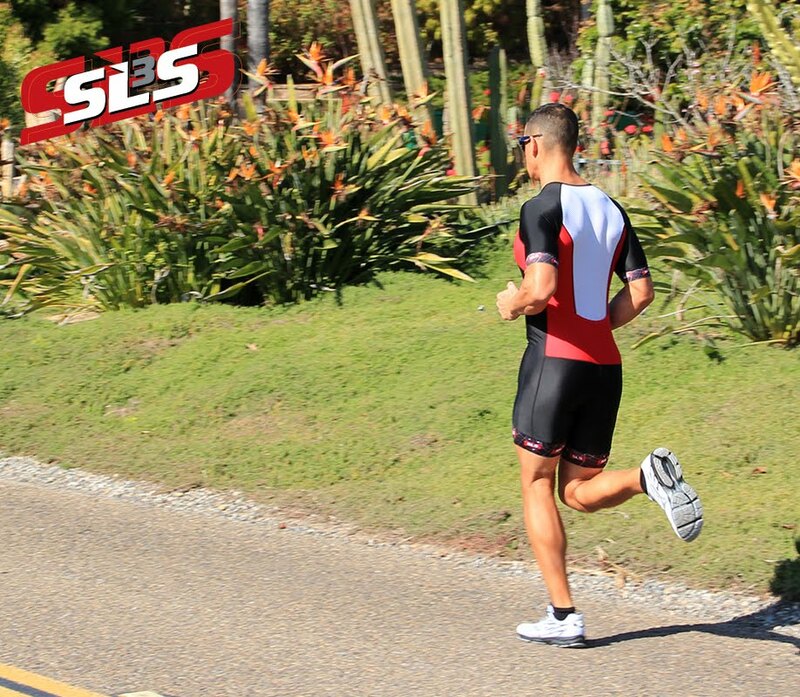 Once again SLS3 has been reviewed by the editors of triathlete magazine. Check out the review here. 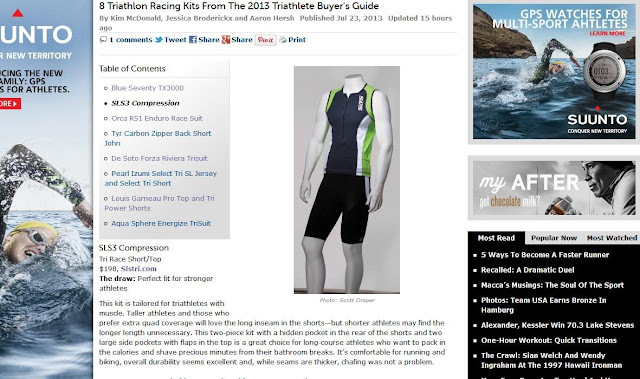 This review is for the FX Tri Top and the Compression Tri shorts. These sessions help develop leg speed off the bike and are one of the most effective ways to simulate race transitions, writes G. Nugent. In my last article I wrote about brick (or combo) sessions and I want to reiterate the importance of these sessions in your training routine. Incorporating brick sessions into your training program around eight weeks prior to a race is one of the best ways to maximise your fitness and prepare you for race day. Added to your base program, brick sessions and transition training will set you up for a big summer of racing. To kick us off, I’ve started with a couple of simple combo sessions that involve all three disciplines – swimming, cycling and running – and included a few tips for smooth transition work. Remember, the more you put these tips into practice, and practise good technique, the better your results will be. 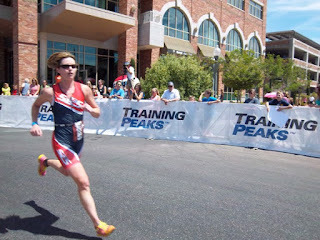 These sessions help develop leg speed off the bike and are one of the most effective ways to simulate race transitions. Depending on the race distance you’re training for, you can slowly build up the ride and run distances of your brick sessions. If you haven’t yet started to include brick sessions in your training, make the effort ahead of your next big race. You will reap the rewards on race day. One of the most neglected areas of triathlon is the transition, be it swim-to-bike or bike-to-run. Most triathletes spend the bulk of their training time focused on the three race disciplines: swimming, cycling and running. But the transition between each leg also requires specific training. If you’re new to the sport, you need to get familiar with the two transition phases of a race. Each triathlon has two transitions: a swim-to-bike (T1) and a bike-to-run (T2). If you have never been shown what to do in a transition, it can be a very daunting element of race day. Knowing what to do in transition sets you up for a good race right from the gun, can improve your mid-race position in the field and can even save you minutes on your finishing time. • Your gear should be located on the right-hand side of your bike. Regardless of whether you rack your bike by its saddle or bars, always set your gear up to the right of your bike. • Line up your gear in the order you will be using it, with your bike shoes, runners and helmet on top. Place your sunglasses inside your helmet, and always have your helmet unbuckled and with the straps out ready to wear. • If you haven’t already, invest in a pair of good quality elastic laces for your runners. Replace your normal laces with elastics and hey, presto – you’ll be in and out of transition in no time. • Dust the inside of your shoes with talcum powder. This will not only help you slide them on more easily, it will soak up any moisture on your feet. • Coming out of the swim – stay calm! There’s nothing worse than not being able to get out of your wetsuit, fumbling around or dropping your helmet. You want a fast transition, but you also want it to go smoothly. • Don’t touch your bike until you have fastened your helmet. It is illegal, and you could get disqualified. • Once your helmet is secured, pull on your bike shoes (if they aren’t already clipped onto your bike). • Un-rack your bike and run with it on your right-hand side, holding your seat with your right hand. • Your bike should be pre-set to an easy gear. Run your bike to the mount line and jump on. Remember, you can’t get on your bike until you pass the mount line. There are a number of ways to mount your bike and if you’re unsure of what to do, it’s worth joining a squad and having an experienced coach or athlete show you what to do. Once you master the fast transition mount, you need to practise. • Slow down ready to dismount at the dismount line. Remember, you must have both feet on the ground before you reach the dismount line. • Keep your helmet fastened until your bike is racked back where you began the cycle leg. • Rack your bike and take off your helmet – do this first to avoid running out with it still on your head. Pull on your runners (if they’re not already on). If you don’t have elastic laces, get some ASAP! • If you’re wearing a hat on the run, don’t put it on in transition – just grab it and go. Put it on while you’re running and you’ll save yourself valuable time. A good transition takes time to master, so use these tips and practise, practise, practise. You’ve trained hard and practised all the things you need for race day, so get out there and enjoy yourself – the swim, the ride, the run and most of all, the finish line. article courtesy of G. Nugent. Learning from race-day blunders is key to removing the chance of repetition. Sam Hume is one of Australia's best age-group triathletes and he's highlighted the five commonest mistakes he sees and how to avoid them. Getting one’s pacing right on race day is probably the most important issue for the age-group athlete that will make or break their day. Far too many age-groupers, and for that matter many professional athletes, push too hard in the swim and bike and end up running well below their potential simply because they run out of gas. While pre-race and race-day nutrition will allow you to maximise the amount of energy available, in reality, spreading your effort (and hence energy expenditure) evenly across the three disciplines is the surest way to get across the line in the quickest possible time. Why then do many athletes tear off the start line or out of T1 like a bull at a gate? A rush of adrenaline, a perceived need to maximise the gains in one’s strongest leg or minimise the losses in one’s weakest leg, or an over-estimation of one’s ability are all possible explanations. See the box for some logical pacing concepts to ensure the correct mindset for race day. Don’t buy a super-light bike and then load it up with multiple water bottles, fancy tyre inflation devices or other nice, but not essential gear. If Macca strips the handlebar tape off his IM bike, why do age-groupers think it is all right to carry 1.2-to-1.8kg of fluid at the start of the bike? In most longer distance events, the aid stations come up more frequently than you could drink 600-millitres. Why carry more than one bottle? I know occasionally bottles are dropped or athletes want special mixtures not available at aid stations, and therefore want extra capacity, but you need to consider the relative costs and benefits. Look up the details of your upcoming race and find out what is served and when well ahead of time. We all do it and we know we shouldn’t. Wetsuits, goggles, bikes, wheels, race nutritional, shoes and Triathlon suits used on race day without being adequately tried first. The consequences? Necks, armpits, groins and feet rubbed red raw. Coming off your bike out of T1 or a sharp corner. Gastric distress or a massive bonk. Try it before you race with it. Enough said! Think of your gut as a filter that absorbs less the faster you go. For example, say you drink a standard sports drink while running. You cannot move much of the carbohydrate out of your upper gastrointestinal tract (e.g. gut) and into your blood stream if you are running flat out because your body preferentially diverts blood flow away from your gut to your working muscles. So you derive little benefit from the ingested carbohydrate until you slow down enough that your body sends some blood back to your gut. Also, the more carbohydrate you put in your gut (think both volume and concentration) the more blood flow to the gut you need to absorb it. So if you run at a moderately hard pace, you may be able to absorb a sports drink (with its moderate amount of carbohydrate) but not a soft drink (with a high amount). Of course you could dilute the soft drink by also drinking some water, which is why we drink water after taking a gel. Use this filter concept to work out what you should do on race day. Too many age group athletes take a ‘more is better’ approach, however, more calories ingested does not equal more energy entering the bloodstream if you cannot absorb it. Ingest less when you are temporarily working hard (hills, out of transition, headwinds) moderate carbohydrates when you are working steadily (flats) and more concentrated carbohydrates when working less hard (long descent, tailwinds, walking). A few arm swings and a short swim is not enough of a warm up for anything less than an Ironman. Age-groupers should understand what is an appropriate warm-up for the distance they are racing. I wrote about this topic two issues ago and think it is poorly done by many age-groupers. A short run, arm swings and gentle stretching, a swim with some efforts and a good look at the start line, first buoy and swim finish are all critical. Some effort but potentially a big payoff and therefore well worth it.